Consumers have fully embraced the new wave of wearable technologies, using them for everything from counting steps to recording up-to-the-minute health information. However, researchers from the University of Central Florida say that it’s important for makers of these devices to consider how they can be optimized for older consumers. Doctoral student Joanna Lewis points out that aging consumers should not miss out on the health benefits that wearable devices can impart. "The proportion of the population over the age of 65 is growing and will continue to do so. Technological developments are exponentially growing and inundating our lives, and we don't want a demographic that is scaling up in size not to have access to devices that are becoming prolific in everyday society,” she said. Lewis and study co-author Mark Neider say that many devices currently on the market suffer from poor design problems that make them difficult for aging consumers to use. For example, the researchers say that many devices often require multiple steps to complete one action, which can lead to a lot of confusion. Other problems include buttons, icons, and text that are too small to read for those with diminishing sight. These design problems can often lead to feelings of frustration for older consumers who are learning how to use new devices, leading to feelings of mistrust that ultimately lead them to abandon using wearables altogether. This is a dangerous road, Lewis says, because older consumers end up losing out on important health benefits they could otherwise be taking advantage of. "A device's usability should consider all ages," she said. 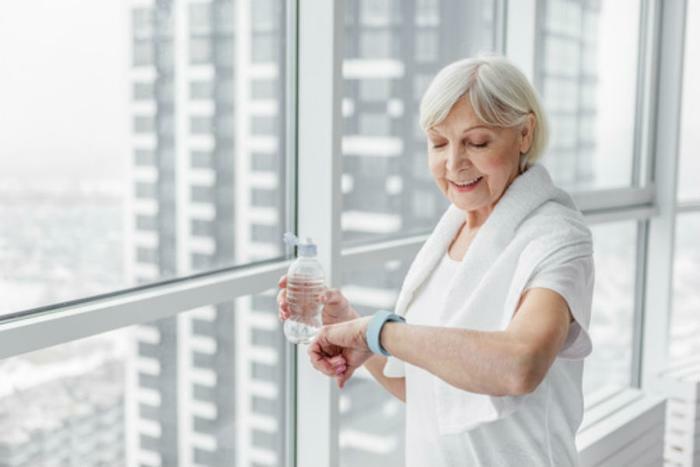 "Potential issues with wearable devices for older adults can be avoided by acknowledging limitations, and development teams can create effective and safe platforms that appeal to a variety of end users." The full study has been published in Ergonomics in Design.